An ice damn occurs when melting snow re-freezes, creating a “damn” of ice. This damn prevents the snow from falling off the roof naturally and, because it sits on the roof much longer, it causes leaks in the ceiling of the house. This can happen around the eaves, in valleys or around the chimney – anywhere water can easily penetrate. We can permanently prevent this from happening to your roof again -- even in the dead of winter. 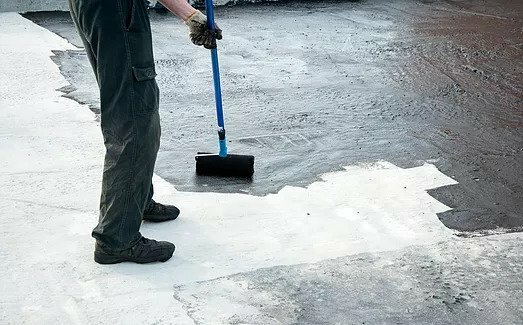 Ice Shield was available in some states, but only became part of the New Jersey resident roofing code in the 1990’s. Now it is mandatory to install on all new roofs. Most home insurance companies also require it to be installed as well. Installation and costs depend on the size of the area we need to repair. Remember; all new roofs are required to include ice shield around the entire edge (3 feet back) in the valleys and around chimneys.